In a chat today about the update to Readdle Docs, it became apparent that many of our team is still viewing PDFs in iBooks. Which is fine, but it is a viewer and once it has the PDF there is no releasing it. In short, iBooks and most PDF apps are view only and generally when you ‘open in’ there is no exporting to another PDF app. We covered this before so no need to take up space here. Today, Readdle released version 3 of their ReaddleDocs. If you purchased ReaddleDocs before, this is a free update. 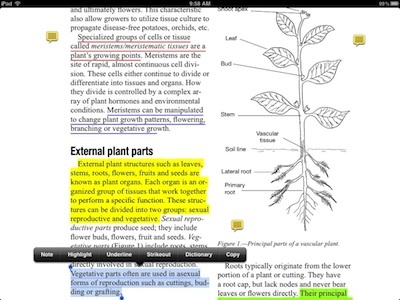 You can still annotate and organize your PDFs across multiple systems like with version 2. ReaddleDocs is for just about all the type of document files you have, it isn’t ‘just’ for PDFs.